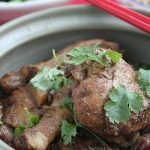 Braising is a healthy cooking technique that adds lots of flavor to dishes with very little added fat. 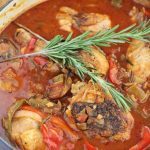 In this post, I explain what braising is, and include several Braised Chicken recipes to demonstrate the versatility of braising. When the weather turns cooler, I like to make more braised dishes. Braising is simply a cooking method whereby food is typically browned first to enhance flavor, then cooked in some liquid over low heat, in a covered pot. The liquid of choice varies – tomatoes, wine, and broth are the most common. The liquid typically covers about 2/3 of the food in the pot versus a stew which has more liquid. 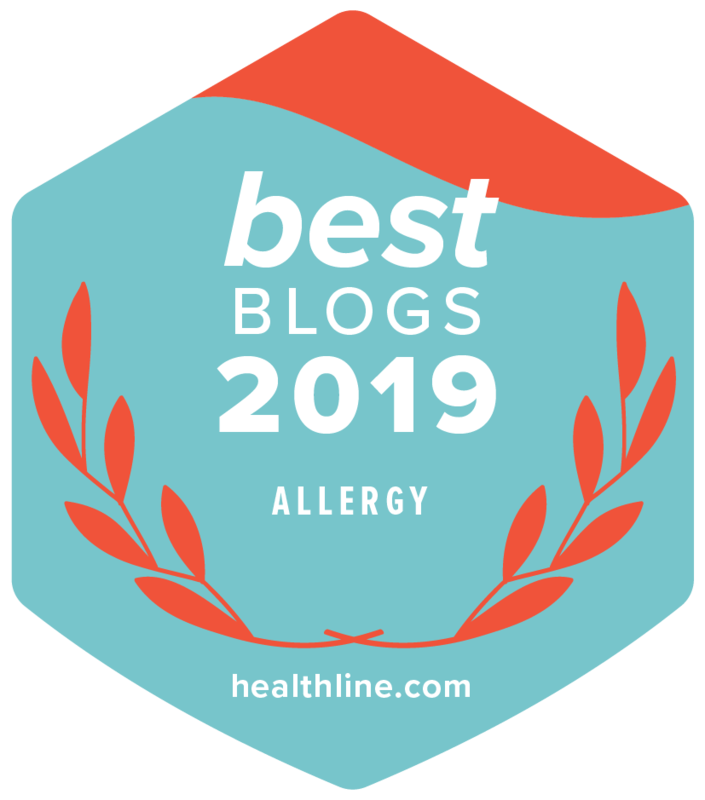 Fresh or dried herbs can be added to infuse flavor into the dish – thyme, rosemary, oregano or herb blends (Herbes de Provence, Fines Herbes, Italian Seasoning) are all wonderful in braises. 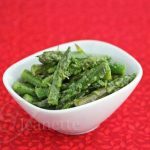 Vegetables can also be added for flavor and to make a one-pot meal – celery, carrots, potatoes, mushrooms, tomatoes, zucchini are just some suggestions. 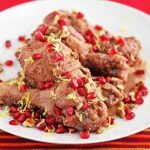 Braising results in tender and juicy meat, that is infused with flavor from the herbs, vegetables and liquid it is cooked in. Braising can also be done in a crockpot, pressure cooker, or in the oven. The Braised Chicken and Red Wine dish pictured above is a one-pot meal, with zucchini tossed right into the pot, inspired by a recipe I found on Cooking Light.. You could also use carrots or other root vegetables, and mushrooms. Just be sure to add them to the pot early enough so they cook through by the time the chicken is done. 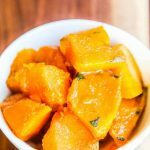 Pop on over to PopSugar for the recipe. Have you tried braising? What’s your favorite braised recipe? They all look very delicious, Jeanette, but that Chinese one with chestnuts has definitely won my heart over. 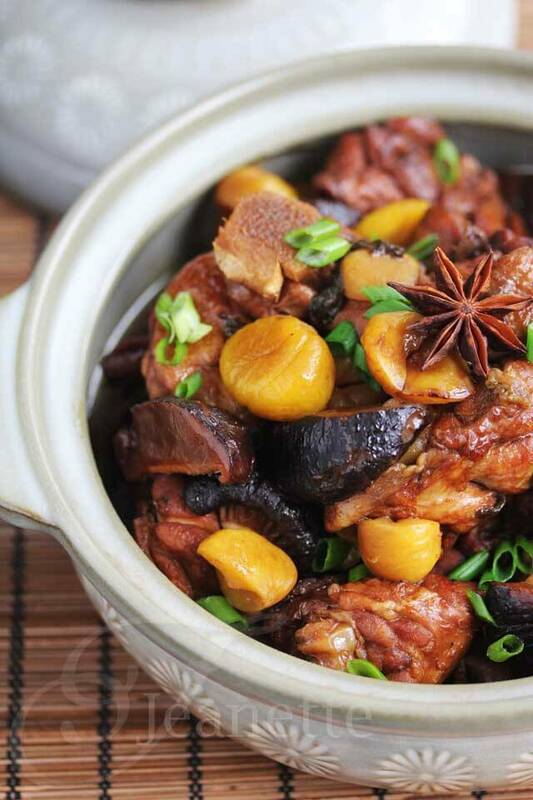 Thanks Angie – the Chinese Chicken with Chestnuts is one of my favorite comfort foods. 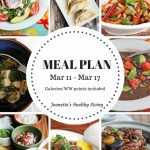 Great information and all the recipes look delicious! I really haven’t done much braising so this is giving me lots of ideas! 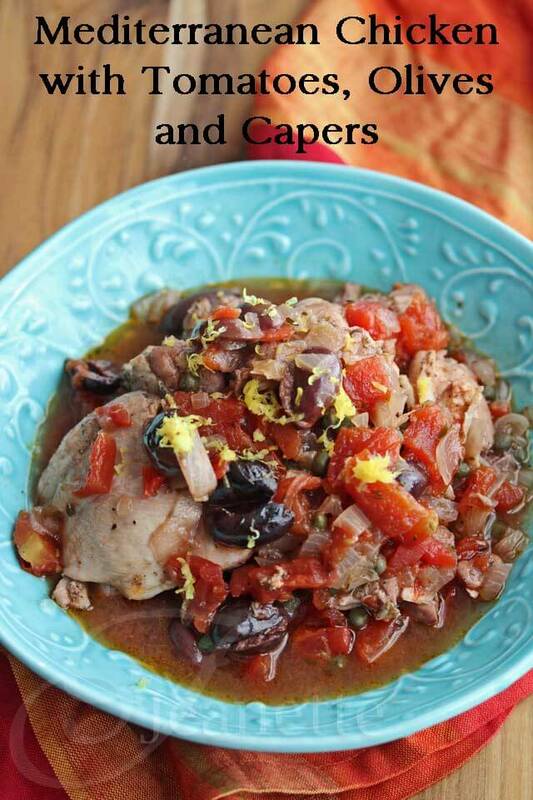 Agree w/ Angie…the chicken & chestnut dish looks fabulous! Thanks EA – I love braising, especially in the Fall and Winter. It’s very easy and the chicken comes out really tender (and the veggies are nice and soft). Nami – I braise on the stove top all the time in my cast iron pot – it’s great! 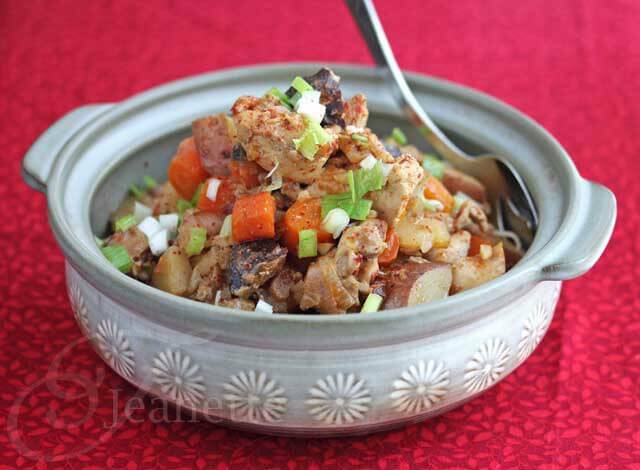 Kelly – I love braised dishes when Fall and Winter come around! Fabulous post, Jeanette! And, I appreciate the roundup of your recipes, too…as I would hate to miss any of your deliciousness offerings. 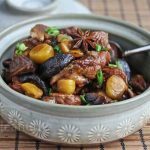 🙂 That Chinese Chicken with Chestnuts is gorgeous and must be made soon! Pinning tonight! In general I really don’t braise things enough. Now that the weather is getting cooler, there will definitely be more of it! 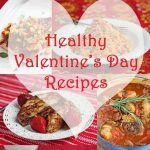 Braising is such a great technique and perfect for this time of year! That chicken adobo has my name on it for tomorrow’s lunch. Looks so delicious Jeanette. I love braising. Indian food uses the method quite a bit. A dish that mum made quite often was goat meat in lentils and spices, cooked for a long time and the meat would be so buttery. 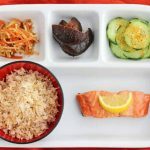 Thanks for sharing some awesome recipes always. 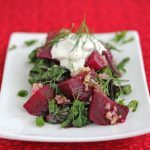 I turn to your Pinterest board to get ideas on healthy food. These all look wonderful! I really need to get my slow cooker out more! 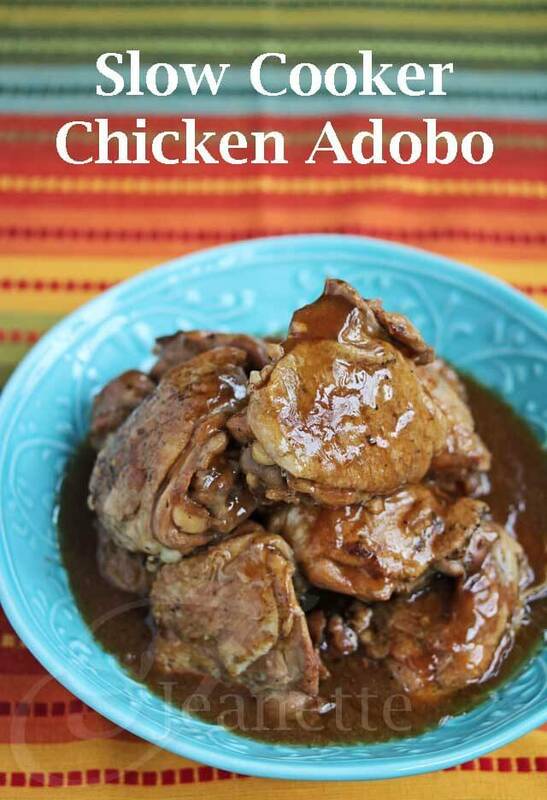 I think my family would LOVE that chicken adobo!!! Thanks Lisa! 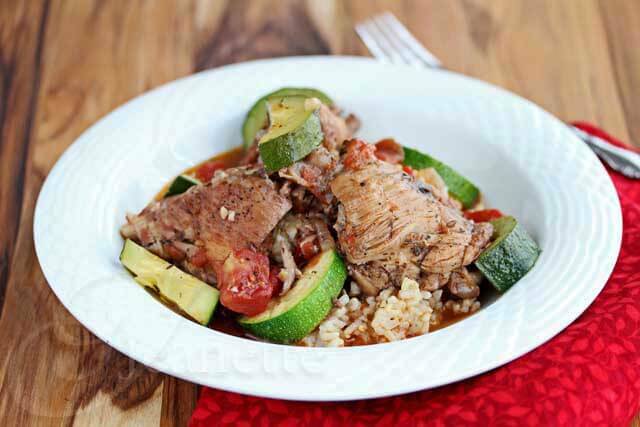 I tend to use my slow cooker a lot during the school year – makes keeping dinner warm a no-brainer. Your ‘Braising’ looks good, but your food photography is amazing. Do you take the pictures yourself? Thanks Mark – yes I do take my own photos. It’s been a fun learning process. I’ve never tried braising. Which way do you prefer doing it– in a crockpot, pressure cooker, or in the oven? When I’m in a hurry, the pressure cooker is great. On days when I am going to be out of the house for a while, the crockpot works best. I use the oven for braising when I’m running out for a short period of time and don’t want to worry about watching the stove. They all work great, just depends on the day. I’ve become a huge fan of braising in my slow cookers. To be honest, beef brisket is still my favorite braised dish, but lately I’ve been making chicken far more often.